Our customer needed to validate several new configurations (different boom and jib lengths) of its heavy lift lattice boom crane. To comply with SAE J987 design criteria standards, various sections and members of the crane’s lattice boom and jib had to be instrumented with strain gauges and tested under various loads. For this validation, we needed a system that could acquire data from 144 quarter bridge, 350 ohm strain gauges at the same time. The system also had to be distributed because the strain gauges were spread out along the length of the 300-ft boom and jib. Because the crane testing was outdoors, all instrumentation, hardware, and cabling had to be properly sealed and environmentally protected during the entire multi-week project. 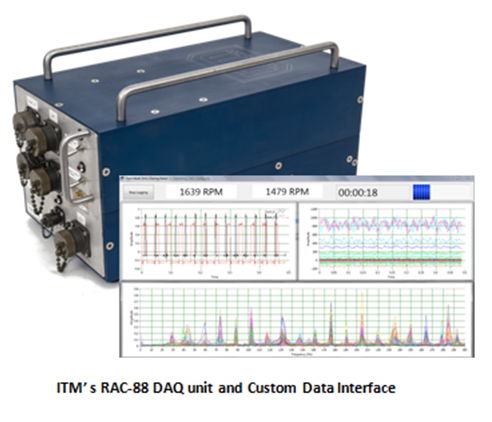 To capture all the strain measurements at various locations along the length of the boom, itm used a network of Ethernet-based National Instruments (NI) CompactDAQ (cDAQ) chassis (cDAQ-9188) containing multiple strain gauge input modules (NI 9236) to condition and digitize the strain signals. The system consisted of four individual cDAQ Ethernet chassis capable of capturing up to 256 strain gauge signals. 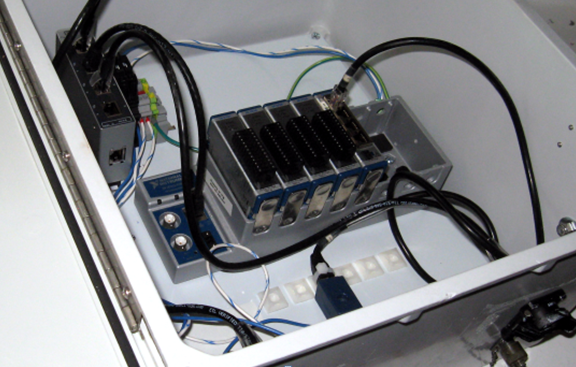 This design allowed the chassis to be “daisy-chained” together using local Ethernet switches to communicate all signals back to the host computer, thus minimizing signal cable requirements. To protect the hardware from the environment during the project, all components were mounted in NEMA 4X enclosures, which were attached to the respective sections of the crane boom. In addition, itm supplied custom cable harnesses that supplied both 24VDC power and Ethernet communication to each enclosure via IP67 rated connectors and fittings. The quick-connect fittings could accommodate various boom length configurations as required by industry specifications. 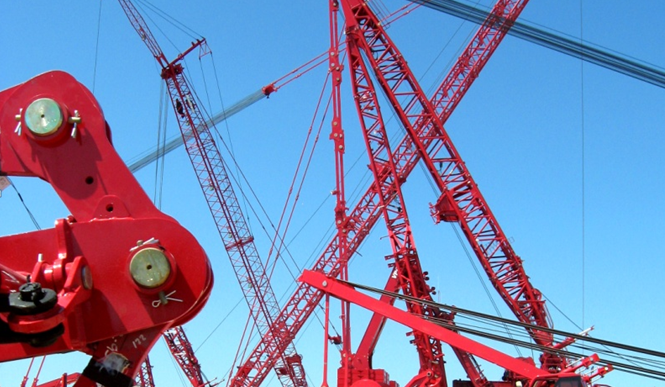 In addition, the test engineers could quickly disconnect and reconnect the cabling as necessary to allow the crane riggers to add or remove boom inserts. This flexibility helped reduce the amount of time required for configuration changes. To calibrate, collect and view the strain data, we used itm’s iTestSystem configuration-based data acquisition and analysis software. We then reformatted the strain data into a format that our customer’s in-house analysis software could use to determine load capacity. We were able to satisfy our customer’s crane validation test requirements by providing a complete turnkey solution designed to validate the different boom and jib configurations and ensure they complied with SAE J987 specifications. Thanks to the efficient sensor instrumentation provided by itm’s engineers and the flexibility of the NI-based hardware and the iTestSystem software solution, we were able to complete our testing several months earlier than our customer anticipated.